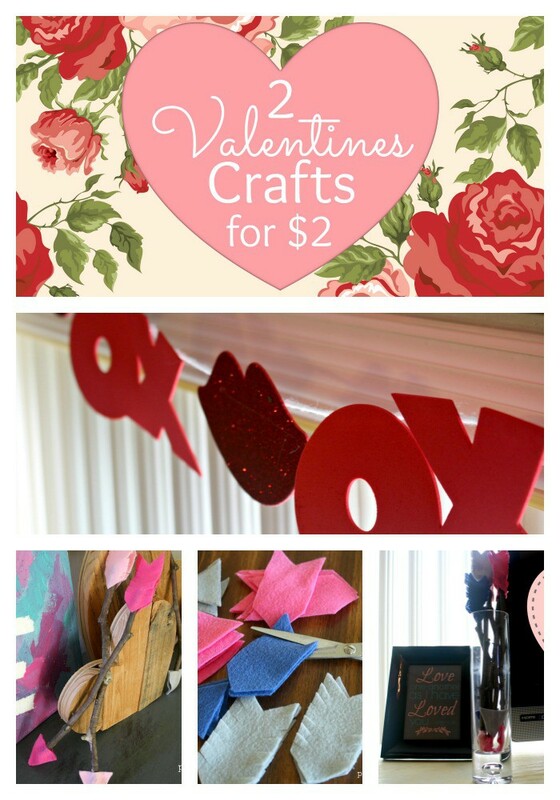 Pretty much if I can make a fantastic craft for under $5 I can’t resist! Tell me it’s under $2 and there is NO stopping me! 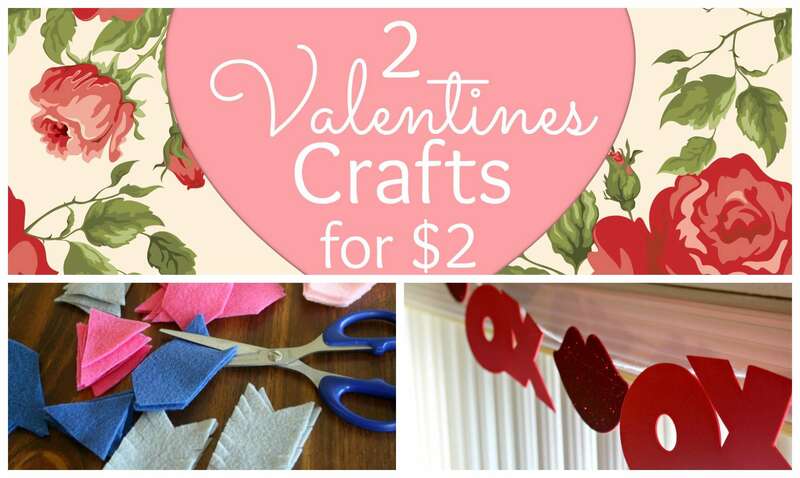 Not only did these two crafts cost me less than $2 total to make, it took me less then 30 minutes total! 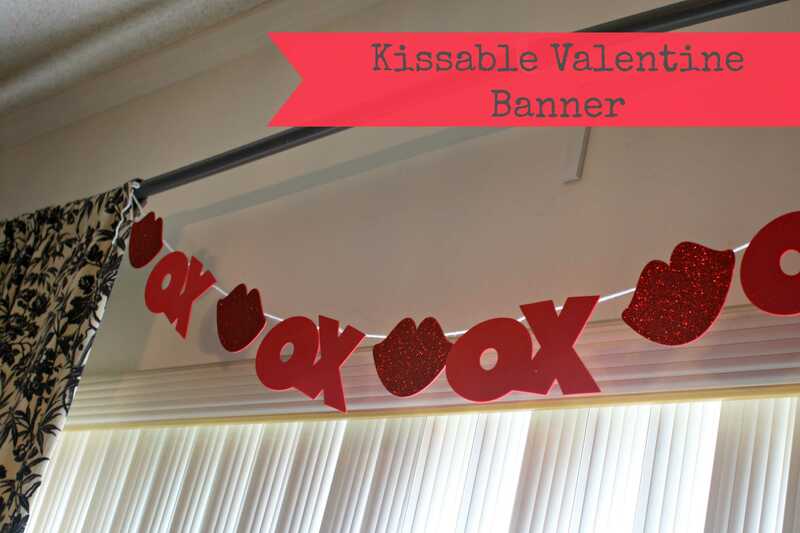 First up, my glitzy Valentines banner! I found a pack of these foam “XO” and lip cutouts at the dollar section at Target. (Let’s take a minute to really appreciate the awesomeness of Target!) Finding these cutouts takes all the hard work out of making the banner. Yarn is actually what I used to connect the banner, I had it laying in the back of my cupboard and thought it was perfect! 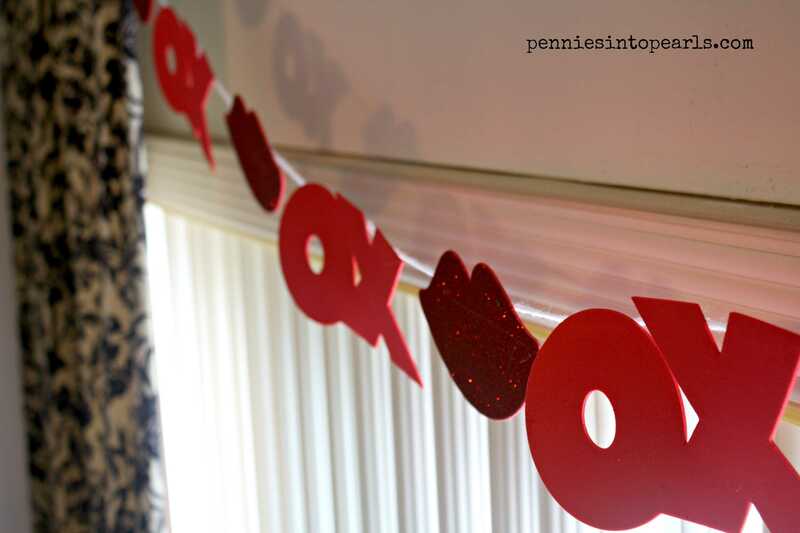 If you want to make a grander statement with your banner you might want to try using a thick ribbon. All I did was line up the arrangement I liked and hot glued them to a string. Five minutes, tops! Don’t you LOVE these felt arrows! I originally saw the idea over at Carolyns Home Work. 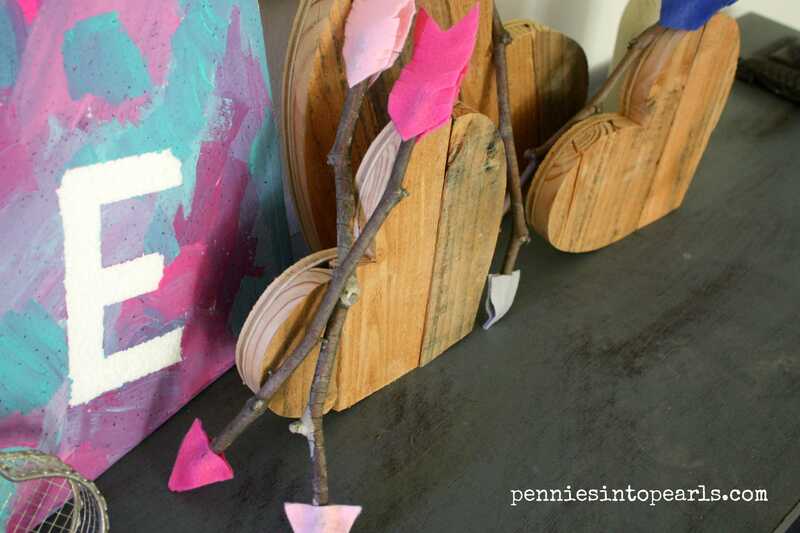 Decided I had to make them because they went perfect with my rustic Pallet Wood Hearts! 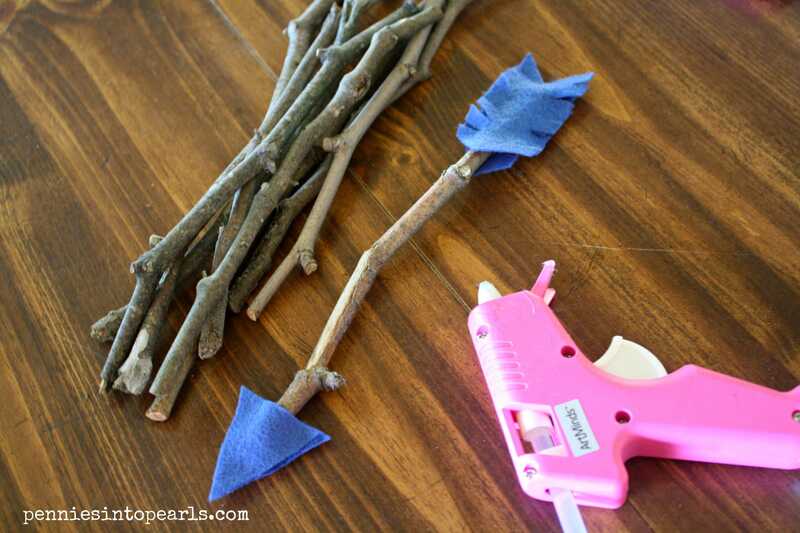 I used the left over sticks I gathered for my $7 XO Valentines Wreath. So that cost nothing and bought 4 different colors of felt. So actually this really didn’t cost more than $1 to make! I made a template for the base and top of the arrows. 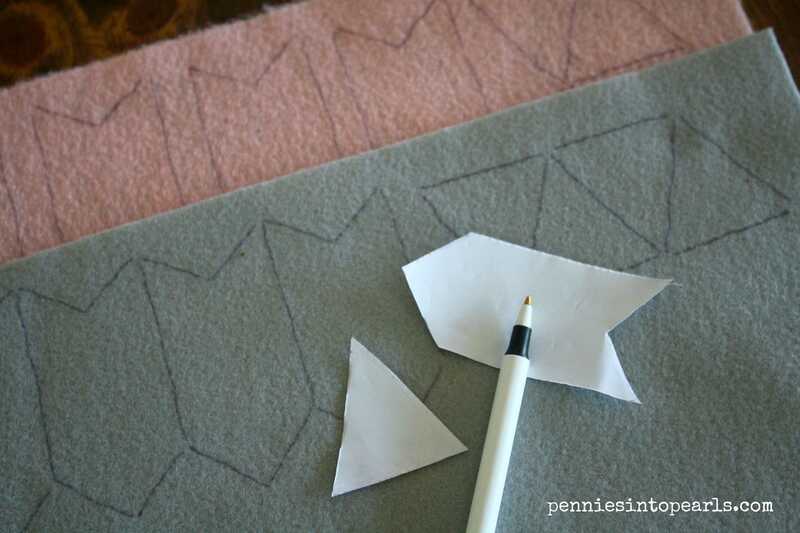 Traced them onto the felt making two copies of each template to create a front and back for each arrow. 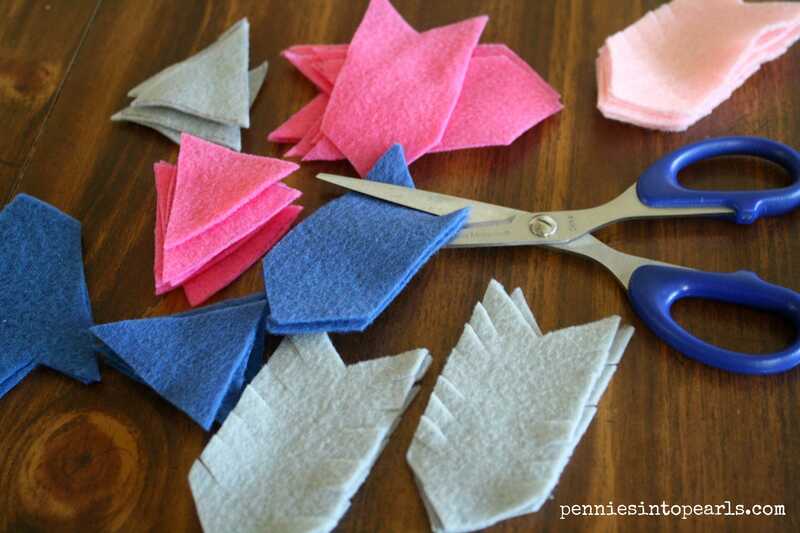 Cut out the felt. Made small snips along the back piece to make it look like a feather. Next hot glued one piece of each (top and base) onto the stick and repeated on the opposite side connecting the front and back pieces of felt with hot glue. Ta-da! 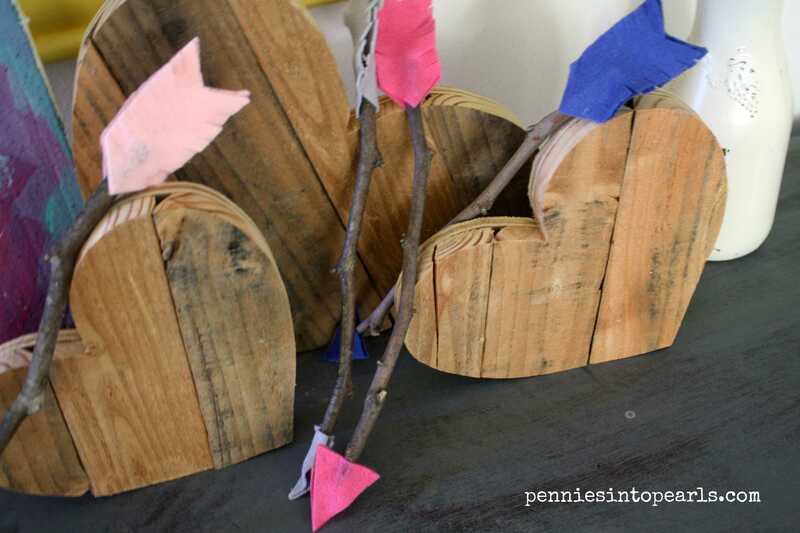 Rustic arrows to add to your chabby chic Valentines décor! Have you done a similar project? I would love to see! Tag me @pennieintopearls on Facebook or Instagram and I would love to share it on my page! I love the banner! I love the arrows too, but I might be too lazy to make them. Of course, you can’t beat the price! 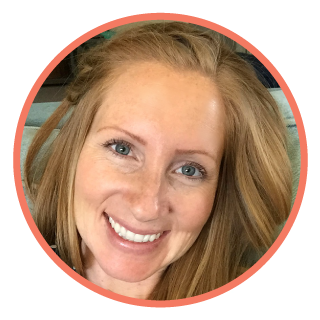 Thanks so much for linking up at the “This Is How We Roll Thursday” link party! The price is a major contributing factor when I decide what to craft! Thanks for stopping by! How fun! I especially love those arrows. Thanks for sharing at Fridays Unfolded. Pinned! Thank you so much Alison! 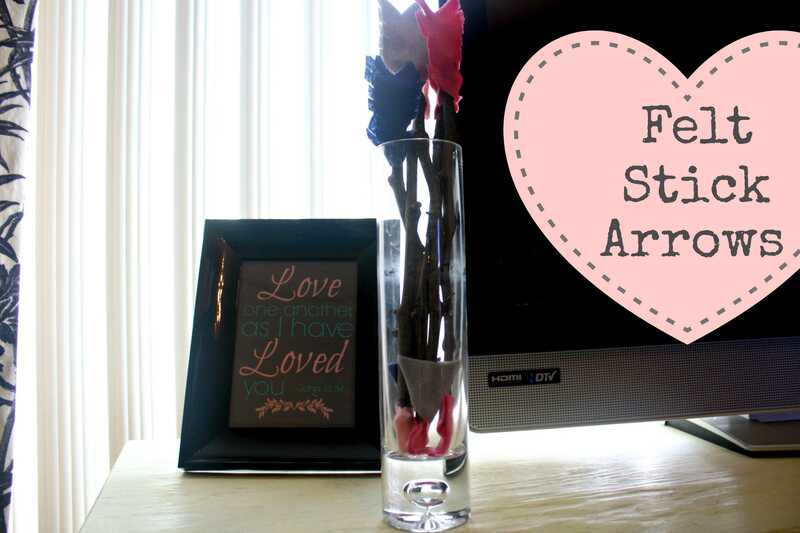 Super easy and cheap are my favorite kinds crafts! Thanks for the pin! These are great and you really can’t beat the price! I especially love the arrows, so adorable! Thanks Amanda! Yes! The price is super important along with the cute factor!